Did the Fuhrer plan to attack London and New York in UFOs? As Hitler's armies began to crumble on fronts as far apart as Stalingrad and North Africa, he turned in increasing desperation to his scientists to create a war-winning super-weapon. Some, like the V2 rockets and the first jet fighters, saw action but came too late to halt defeat. Others were so outrageously ambitious that they never got past the drawing board. The idea of building flying saucers to bomb London and even New York could have been just such a scheme. 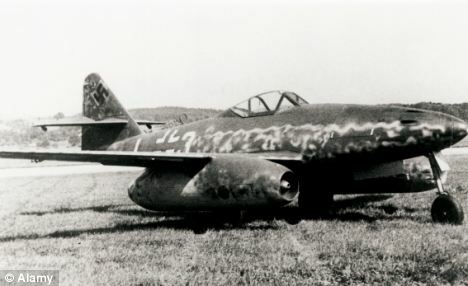 But now it is claimed that Hitler’s scientists had indeed designed this type of aircraft – and were so far advanced with the project that a prototype may even have flown. The programme, under the command of SS officer Hans Kammler, was said to have made significant breakthroughs in anti-gravity experiments, says a report in the German science magazine PM. 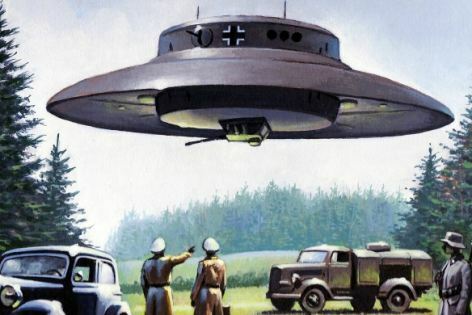 It quotes eyewitnesses who believe they saw a flying saucer marked with the Iron Cross of the German military flying low over the Thames in 1944. 'The Americans also treated the existence of the weapons seriously,’ it adds. At the time the New York Times had written about a 'mysterious flying disc' and published photos of the device travelling at high speeds over the city’s high-rise buildings. 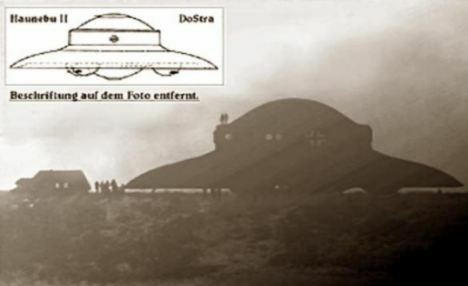 The magazine says that the Germans destroyed much of the paperwork on their activities but in 1960 in Canada UFO experts managed to recreate the device which, to their amazement, 'did actually fly'. The project was called the Schriever-Habermohl scheme. Rudolf Schriever was an engineer and test pilot, Otto Habermohl an engineer. It was based in Prague between 1941 and 1943. Initially a Luftwaffe plan after Hitler ordered his airforce chief Hermann Goering to come up with a super-weapon, it was eventually taken over in 1944 by Kammler. Prisoners of the Allies claimed to have seen the silvery flying saucer, which was about six yards across, on several occasions. Joseph Andreas Epp, an engineer on the project, said 15 prototypes were built. He described how a central cockpit was surrounded by rotating adjustable wing-vanes which formed a circle and gave the craft lift. After take-off, horizontal jets or rockets were ignited. After the war, many German scientists helped with the U.S. space programme. 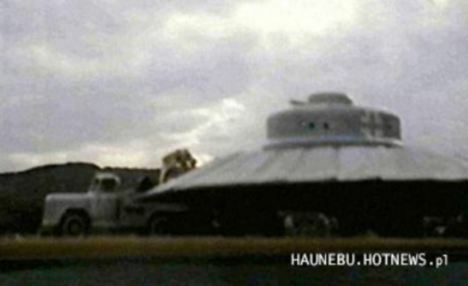 The theory is further fuelled by the claims of Igor Witkowski, a Polish former journalist and historian of military and aerospace technology. In his book, 'Prawda O Wunderwaffe' in 2000, he claims that a bell-shaped craft was being created by the Nazis and that Hitler wanted the best scientists and engineers at his disposal.